Are the diseased or damaged trees in your residential or public area a sore to the eye? 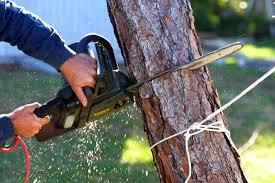 Then it might just be the right time to hire our tree felling services in Sunninghill, Lonehill Fourways. Tree removals are risky and DIY are usually advised against in this situation as they need someone with the necessary equipment and expertise for the job- that is where we come in. We’ve a vast experience of tree removal in many areas in Johannesburg. We provide cost-friendly services on tree felling in Sunninghill, Lonehill Fourways for residential as well as commercial establishments. To ensure safety when carrying out our work, we use modern equipment to cut trees down without causing damage to other trees or to the buildings. Beside our tree felling services, we may assist with tree shaping to ensure your beloved tree looks wonderful. We provide a broad range of services to cater for the needs of our clients. We can additionally provide site clearing services in your public and private spaces, as well as provide various garden supplies, like instant lawn supplies among other things. For Sunninghill, Lonehill Fourways tree felling services, no other company can rival us. The service provided is fast, efficient and safe, and use the best modern equipment. Call us for a free price estimate on 087 551 0614. We’ll happily provide you with the best solutions for all your tree-felling needs, whether it’s for big or small trees.